Processes are important. 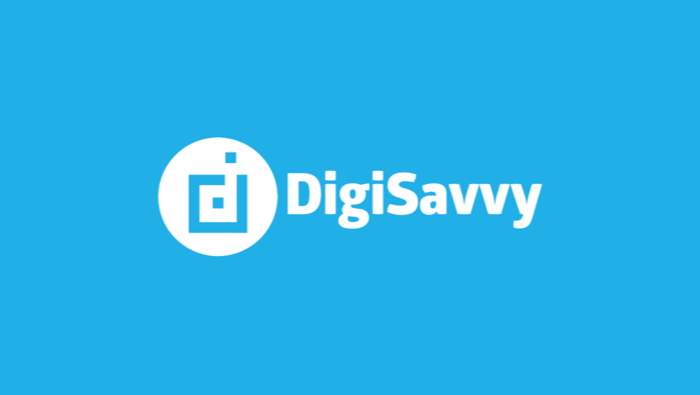 I run DigiSavvy, a Los Angeles WordPress development agency, so I know the value of standards, workflows, and procedures. I know I need a project management process and that I should probably read those books about Agile. I also know I should probably take that nail out of my car tire before it goes completely flat. But I don't always do the thing that needs to be done, especially if it's a pain in the neck to do. But at some point, you have to do what needs to be done and once you’ve done it, life becomes much easier. Let me explain. Once upon a time, we were a happy Asana-using creative shop. That lasted for a long time; we were even among the first to use it. Asana was pretty and simple — perhaps too simple. Everyone could easily get onboard and get the stuff done. But no one did. I still had to be on top of every single task and detail. Asana was so simple that it became too difficult to use. It seems counterintuitive at first but you have to take into the account that, because Asana was so simple, we easily got off track and discussions. At one point, we even had to return to simple emails and text messages! I learned to live with this communication chaos for a long, long time. But I knew there had to be a better way. After all, there were so many project management solutions on the market that there had to be at least one good Asana alternative. We needed something simple to use yet powerful, something that would make being part of projects not-annoying and productive. I've learned over the years this was a big challenge for everyone in the industry: How do you provide enough utility without putting off your users by burying them in features they may never use? ActiveCollab got it right after redesigning their product from the ground up. They built a tool where form followed function and where the process began with the end in mind. They realized their customers want to manage projects efficiently and not get bogged down in communication or with features. The team nailed the experience. Using ActiveCollab on our first project was a breath of fresh air. We were all on the same page from the start and our team was up and running as soon as we switched to it. I still remember our first internal discussion called "Crouching Project, Angry Client". One of our customers became fed up with project status updates and left a tersely worded voicemail. So we made a private discussion in ActiveCollab on how we should approach each project and improve our workflow. The discussion was a success and it really helped us to better manage projects. We have internal projects (where we keep our agency initiatives and things we're working on) and client projects. In our internal project, we have a private kick-off discussion each week where we talk about each project. We discuss what's going on, what happened, and what's happening next. ActiveCollab Discussion feature makes discussions easy to manage and simple to follow. 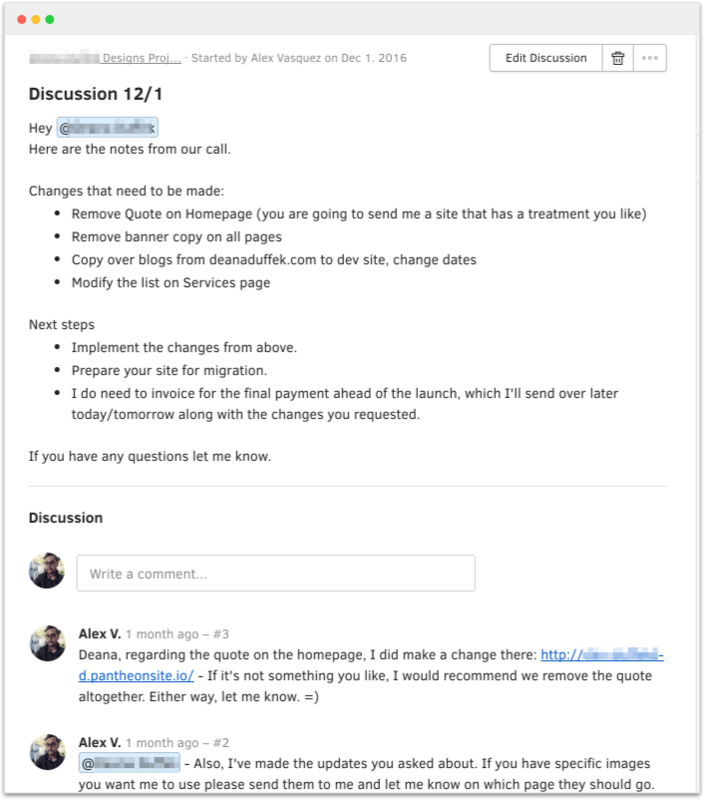 Discussions also help us declutter tasks comments and are a great place to post meeting follow-ups and project retrospectives. Notes are another feature we use often. We keep project briefs and scope information there. Notes are not a full-featured wiki but they don't have to be; we just need a place to post relevant project information so it’s always available to everyone. ActiveCollab Timer (a built-in time tracking app) has helped us calculate project profitability and identify areas where we spend most of our time. Thanks to time tracking, now we can better estimate projects because we know from data we gathered exactly how much time a similar task will require. It was a real eye-opener when we saw how each project and task affected our bottom line. We also use ActiveCollab for onboarding our clients and contractors. For instance, we have project templates for quickly spinning up new projects and templates for teaching new contractors how we do things. We also have a template that helps new clients get up to speed with how we work. The project ends with a task to set up a call with us so we can discuss next steps. Right now, we connected ActiveCollab with our CRM through API for automation, but we plan to use Zapier when the add-on becomes available. Folks at ActiveCollab have made an elegant tool that helps agencies like ours manage projects with ease. It offers a little more utility than Asana without being clunky. All in all, ActiveCollab has everything we need and we're happy we made the switch.